As we take a final look back at 2013, I thought I’d pick the 5 audio products that struck me as the most innovative from the last year. This was actually pretty difficult since there were so many great products, but at least to me, the following 5 stood out. 1. 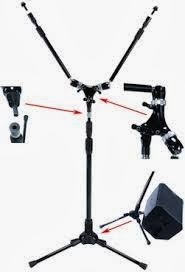 Triad Orbit Mic Stands: Mic stand technology has remained pretty stagnant for 50 years or so until the Triad Orbit articulating mic stands were introduced. What makes the Triad-Orbit stands different is that each leg of the base has four ratcheted positions that provide up to 65 degrees of pitch. The Orbital boom is built around a stainless steel ball swivel mechanism to deliver a very wide range of motion (360 x 220 degrees), and the Orbital 2 boom is also way different than anything you’ve seen since it’s basically 2 booms on one stand. Triad Orbit stands aren’t cheap at $179 for a standard stand, $139 for the standard arm boom and $259 for the dual boom, but they’re built like tanks and very well may last a lifetime. 2. SoundRadix SurferEQ: Here’s an idea that could totally change the way we think about equalization. 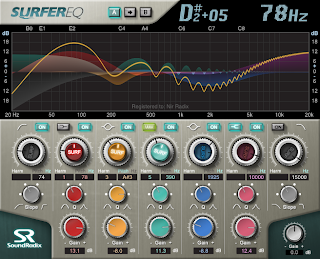 The SoundRadix SurferEQ plugin is different from other equalizers in that it tracks the pitch of an instrument or vocal and changes the EQ on the fly, staying relevant to the music or program. 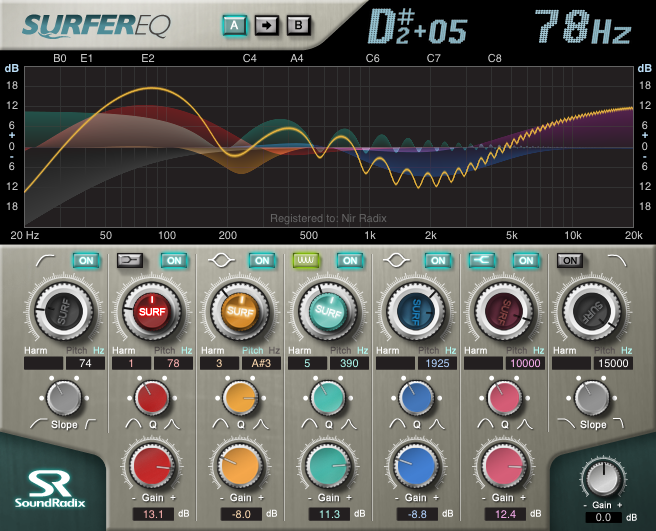 SurferEQ uses a real-time pitch detection engine that triggers a low pass, high pass, bell, shape or harmonic filter (that’s a new one) to make sure that the EQ is working at the right frequency during the song. It’s available for Mac or PC in RTAS, VST and AU, and retails for $199. 3. Apple Logic Pro X: The latest version of Logic may not overtake Pro Tools in the pro world, but there not much that can beat it when it comes to creating music. There’s a lot to like in this new version, including a new streamlined look, a new collection of virtual instruments (including the incredible virtual Drummer, with sounds from Bob Clearmountain), built-in pitch correction and remote control from an iPad. 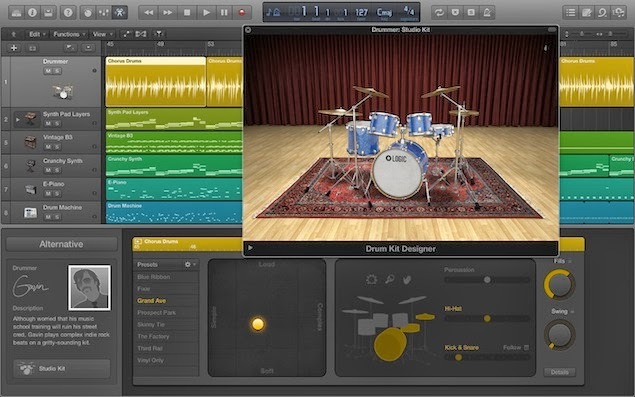 Best of all, Logic Pro X is only $199. 4. Sennheiser Laser Drum Mics: This isn’t actually a product yet, but just the idea of it gets points for innovation. Actually, the laser mic is a misnomer. It’s actually a laser mic clip for Sennheiser’s e904 and e604 clip-on mics that’s the innovative piece. 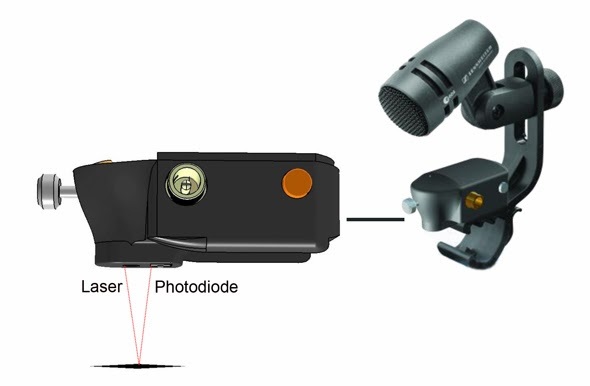 By placing a laser and a sensor in the mic clip, the laser can then precisely measure when the drum head is struck and open up a noise gate, so what you’re actually hearing is a laser-controlled mic (we’ll get to those real “laser mics” someday soon, as this is the just a glimpse into the future). The laser drum clips are still in the prototype stage, so there’s no pricing yet, but you can see and hear how well they work in this video. 5. UAD Ocean Way Studios Plugin: The Ocean Way Studios plugin takes room simulation to the next step by modeling the sound of two of the studio’s famous Bill Putnum-designed tracking rooms (Putnam was the original owner of both United Studios (now Ocean Way) and Universal Audio when it manufactured hardware starting back in the 1960s. Bill Putnam jr. runs Universal Audio today). You’re able to choose from a number of Ocean Way owner Allen Sides’ great vintage mic emulations and place them any distance in the room, as well as mix and EQ multiple combination of mics. This could be a great addition to a home studio owner who only has a small room to record in, but wants it to realistically sound like a larger one – and with the Ocean Way sound to boot. The Universal Audio Ocean Way Studios plugin works on the UAD platform and can be purchased for $279. Winter NAMM is coming up in less than a month, and I’ll probably have a new list afterward, but for now, this list above are the products that caught my attention in 2013.